Although water in Las Vegas it’s usually safe to drink, certain minerals such as calcium and magnesium, can be found and they may cause problems in home water systems. 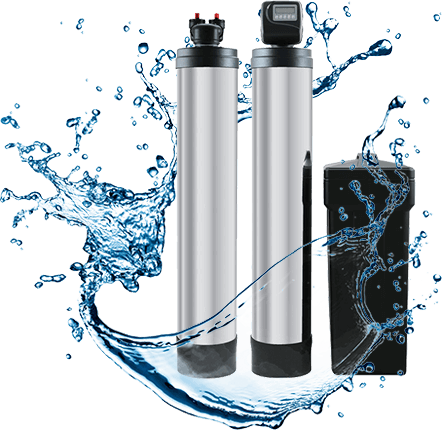 We bring you, the Olympus Water Softener with activated carbon filtration system for hard chlorinated city water. The most reliable, effective and efficient water treatment products. The Olympus Water Softener has a unique design! It removes the chlorine in your water by adding activated carbon. With minerals and filtering agents that work to truly soften the texture and feel of the water. Contains an added 10% cross-link Cation Resin. It completely removes hardness, calcium, magnesium, iron and other hard-water minerals. Also, targets most other volatile organic chemicals leaving the water tasting pure and natural. All Olympus water systems are covered by a 10 year MANUFACTURERS warranty. 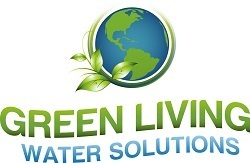 Green Living Water Solutions is your one-stop shop for all your water treatment needs. Removes free chlorine and targets most other volatile organic chemicals from the water. 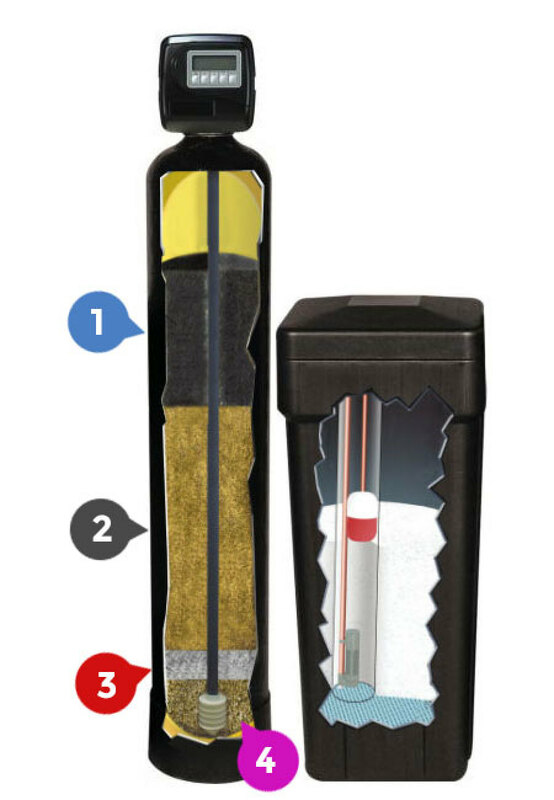 The Olympus contains an added 10% cross-link Cation Resin that effectively removes hardness, calcium, magnesium, iron and other hard-water minerals. The specially formulated cation resin regenerates well with both potassium and sodium chloride salts. The added Garnet stones help to further filter (and purify) water, also providing for an even distribution of water which helps to maximize flow rates and prevent channeling within the device. Washed Quartz minerals provide a solid filtering base, further complimenting the Garnet by enhancing flow rates and eliminating channeling.